USS Ares Bridge Video hits 25,000 views! When I shot this video, Dana, James and I were just working on the bridge, trying to get it 100% finished. We have been working every Sunday a few hours, Dana on the consoles and handling the carpentry, and James on the technology, trying to lower the power requirements. So I logged onto the Axanar Fan Group and did a little impromptu Facebook Live video. I then downloaded it and created a section on YouTube for Live Videos I shoot and uploaded it. It is pretty raw, and not great quality. But it was Facebook Live, and that is what we got. Well, I never expected to get 25,000 views! But we do have 60,000 subscribers, so I guess I shouldn’t be that surprised. And of course some people commented on the quality, so we are going to be doing Production Updates like we used to now that we are back to getting business done. The first one, which we shot Sunday, will be up shortly. 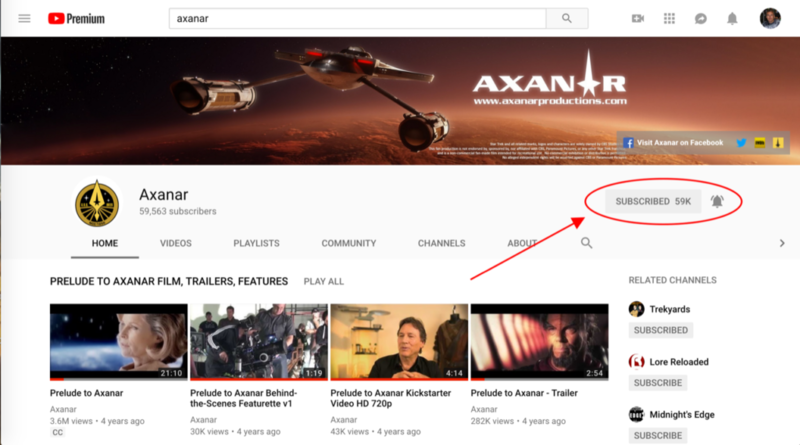 And please subscribe to our YouTube channel if you haven’t already, and make sure you click on the bell icon to get notifications when our new videos go up!